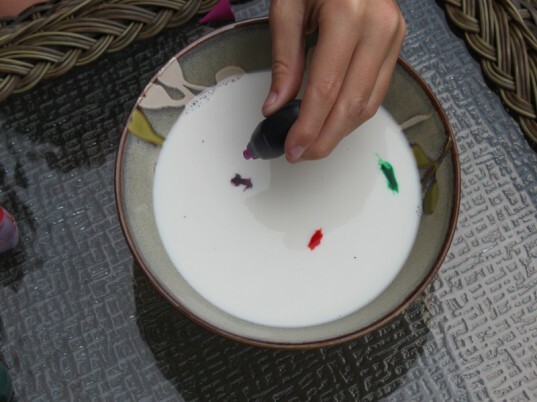 In a shallow dish, bowl enough milk to cover the bottom of the dish. 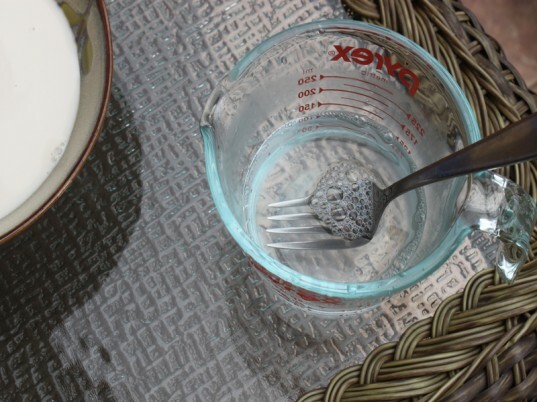 In a separate cup, mix a 1/2 cup of water with a squirt of eco-friendly liquid dish soap. 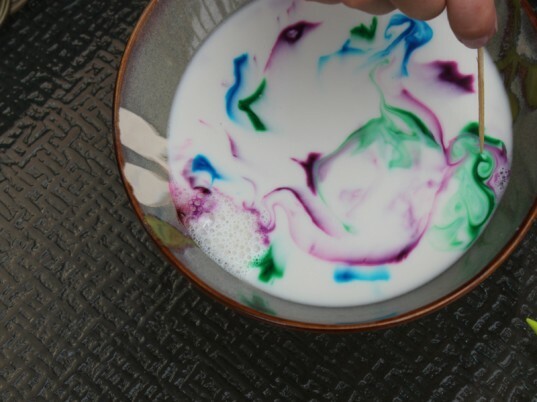 Add several different drops of food coloring to the milk. 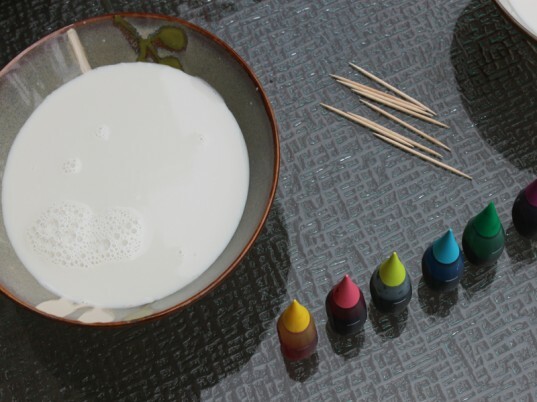 Dip the end of the toothpick into the liquid dish soap mixture, then touch (don’t stir!) the end of the straw to the surface of the milk mixture. 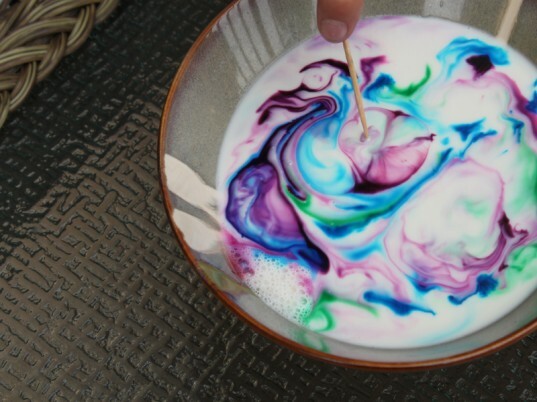 The detergent mixture will break the surface of the milk causing the food coloring to swirl by itself. Magic! The surface of the milk is thick like a skin and the dish detergent is what breaks it. 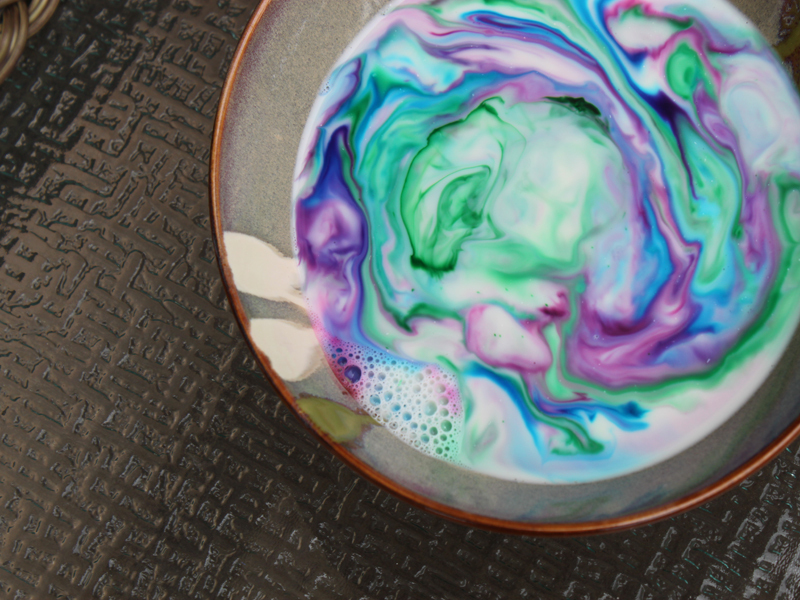 The food coloring and milk break through the surface when the liquid dish soap mixture hits the milk causing the swirling. 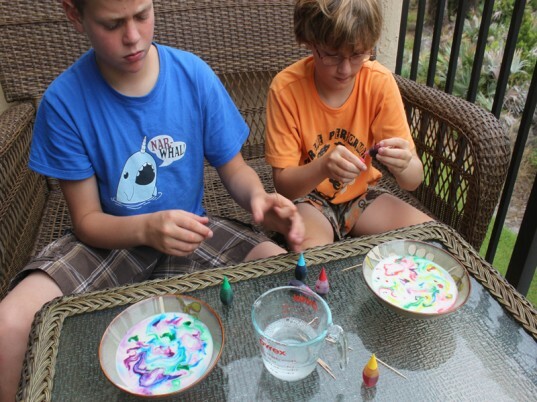 This experience teaches children about surface tension. 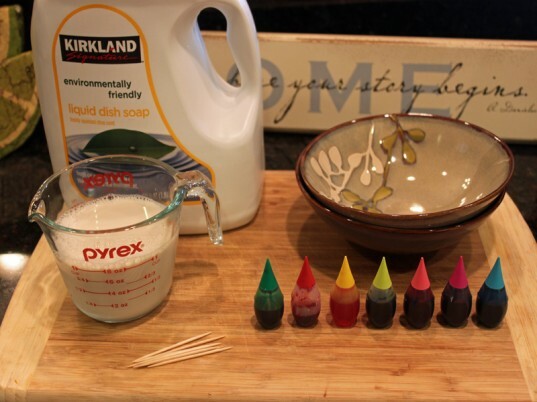 Dip the end of the toothpick into the liquid dish soap mixture, then touch (don't stir!) the end of the straw to the surface of the milk mixture.